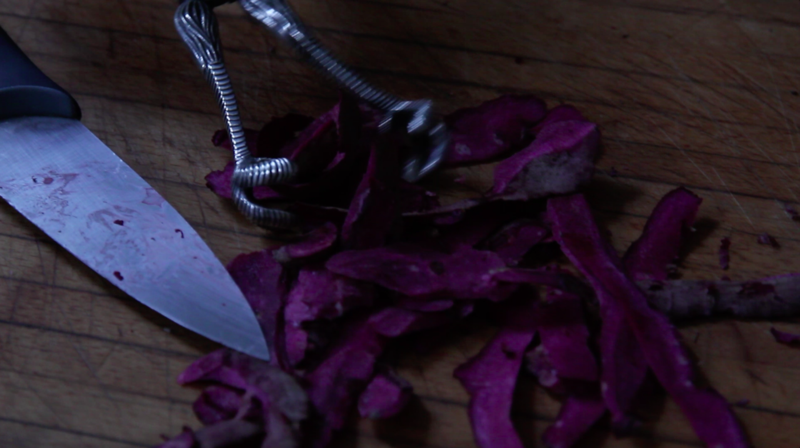 Tereza, Nuala and I spent the afternoon using unusual instruments to peel and dissect food. 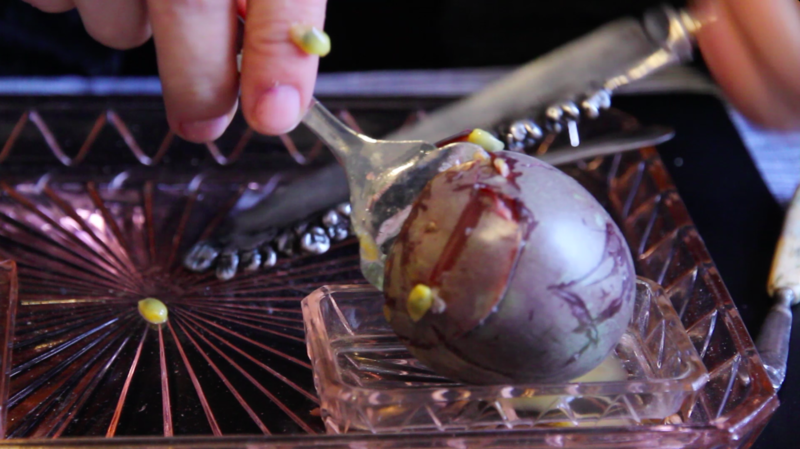 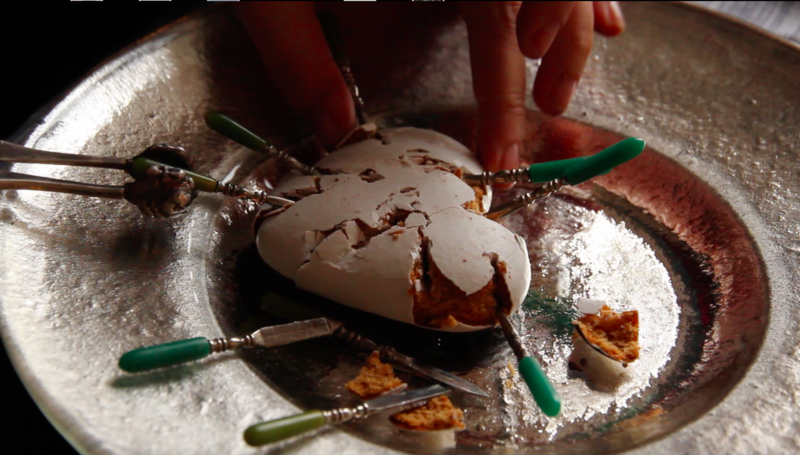 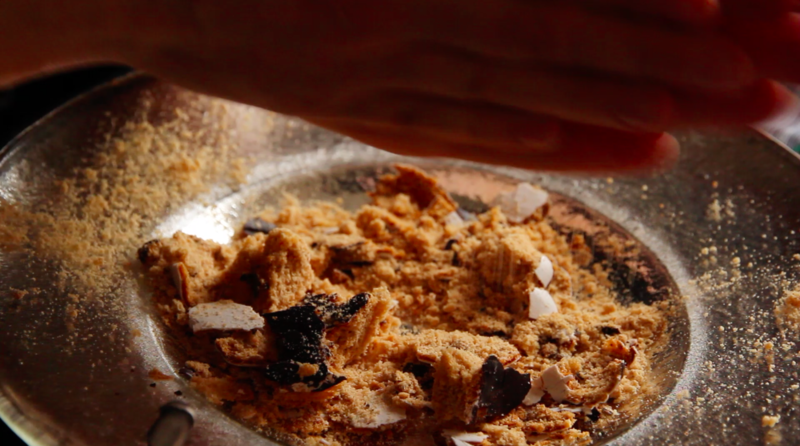 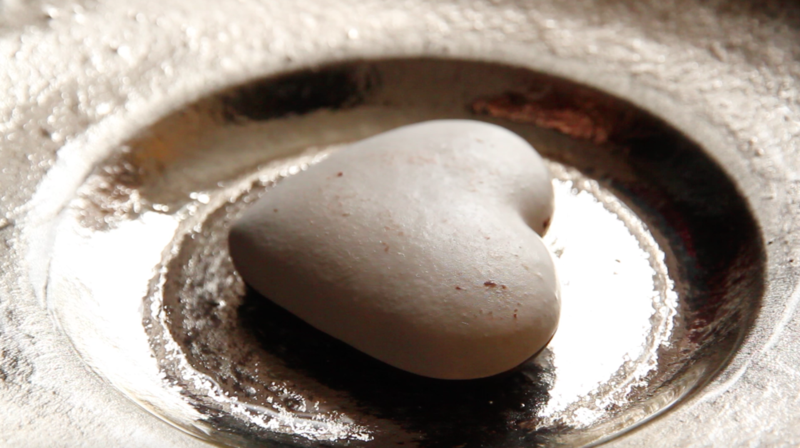 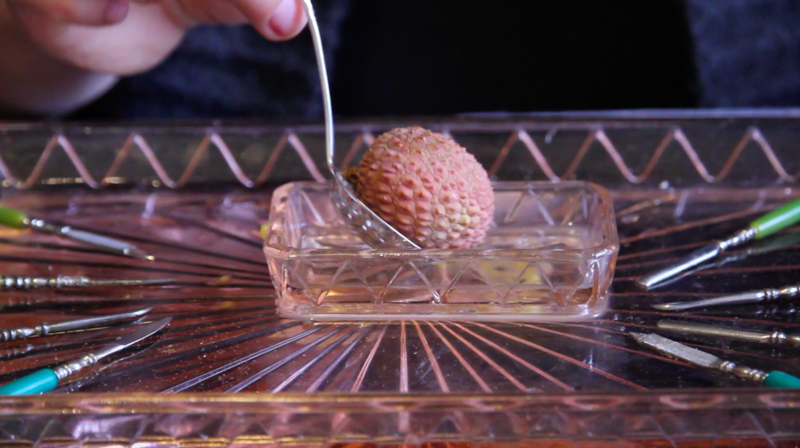 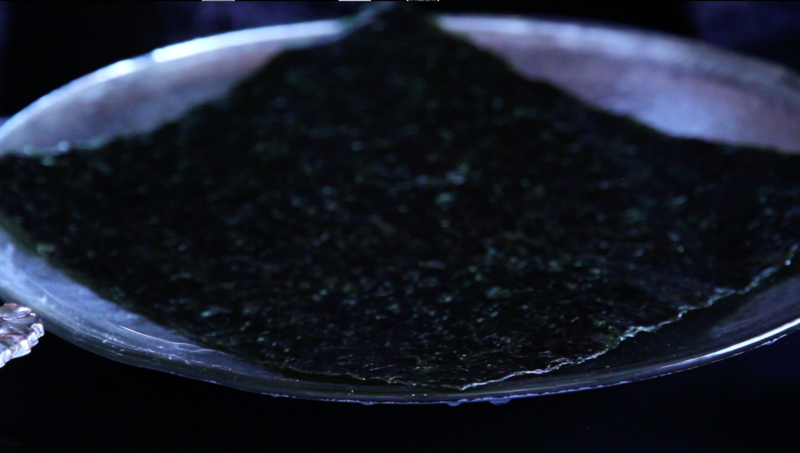 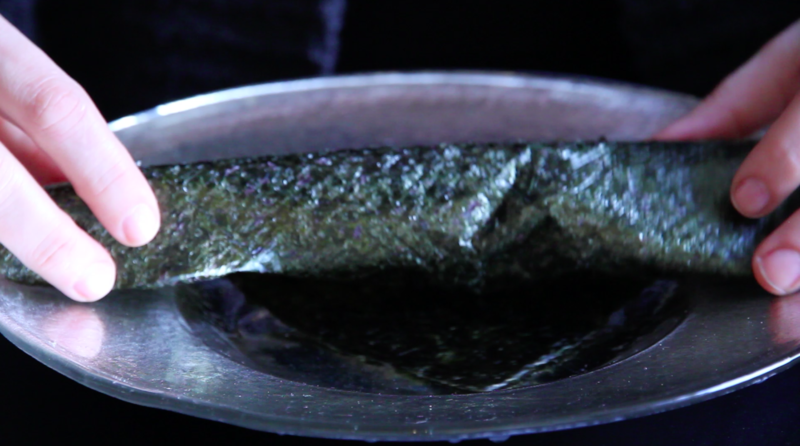 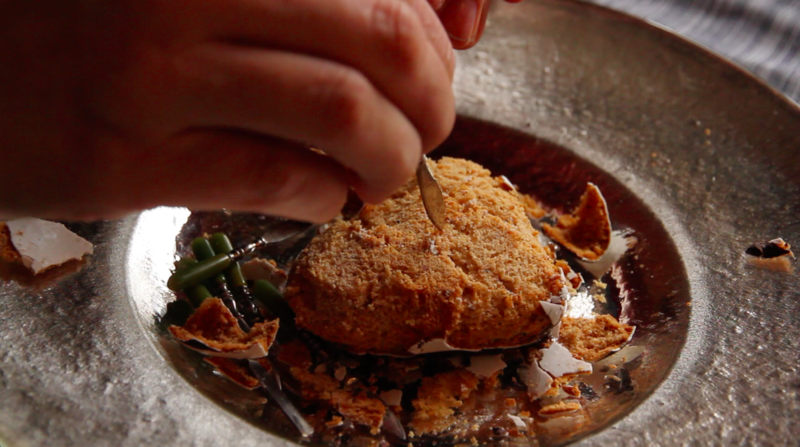 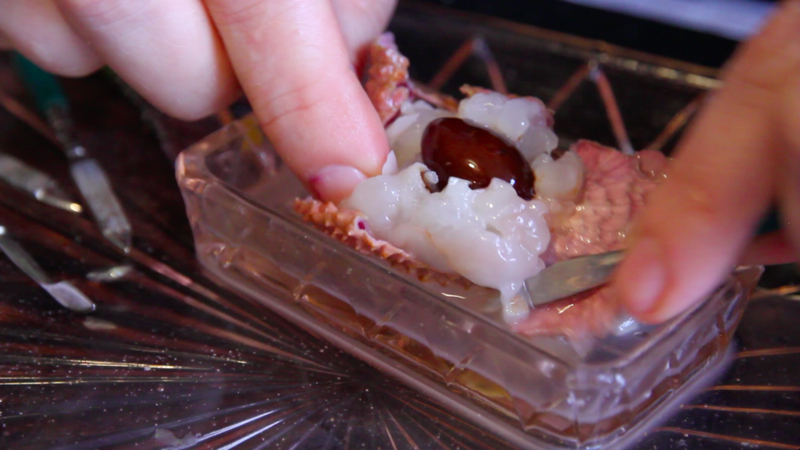 We are working towards a series of short films, exploring food and embodiment, and the blurring of boundaries between inside and outside, the surface and the interior. 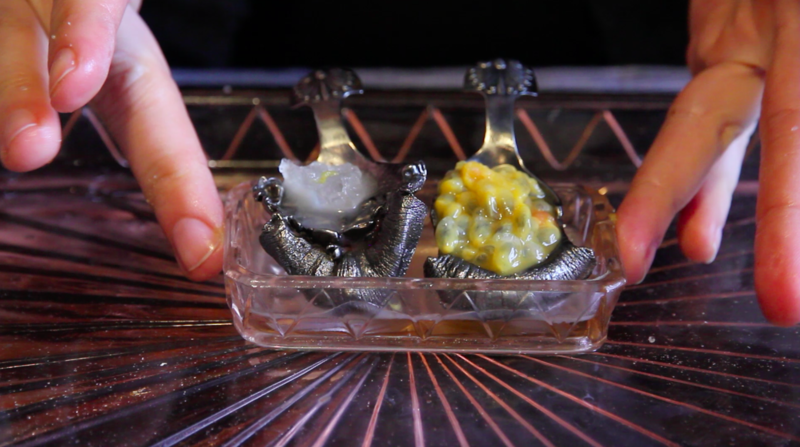 I became interested in some of the tools and props associated with beautification: such as vintage vanity sets, miniature manicure sets, as well as various hybrid instruments, such as claw pincers, which are shown in one of the images below. 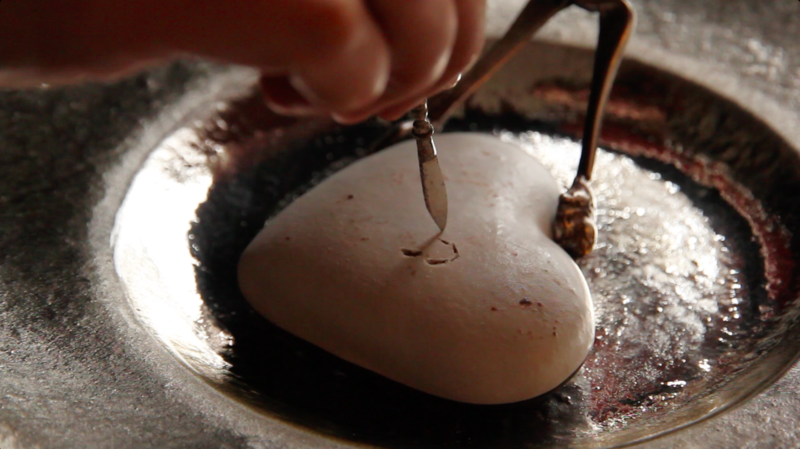 The first experiment of the day involved a dissection of a gingerbread heart, using various manicure and other tools, some of which were created by Nuala. 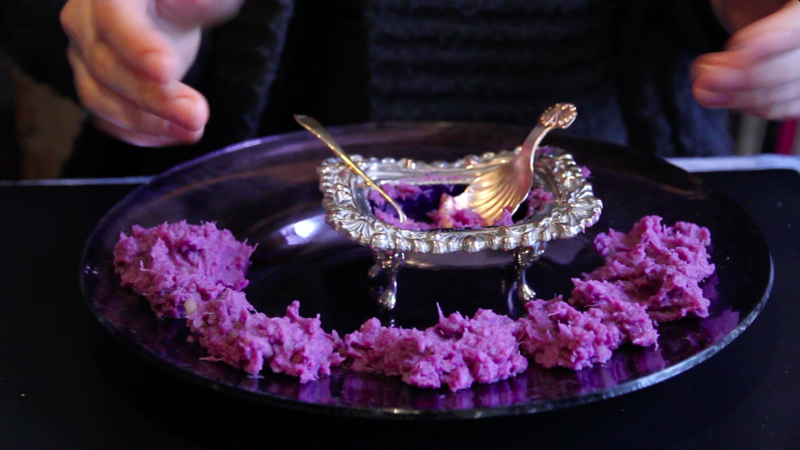 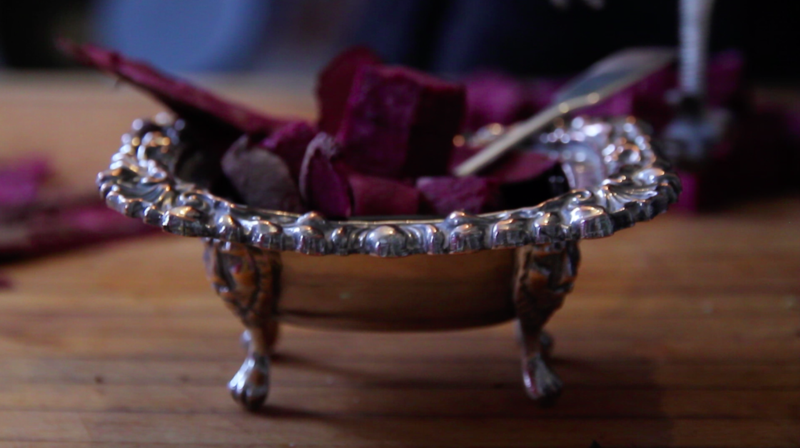 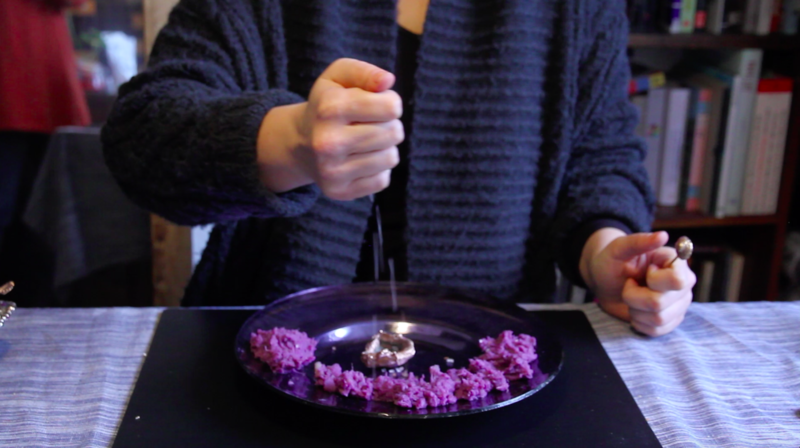 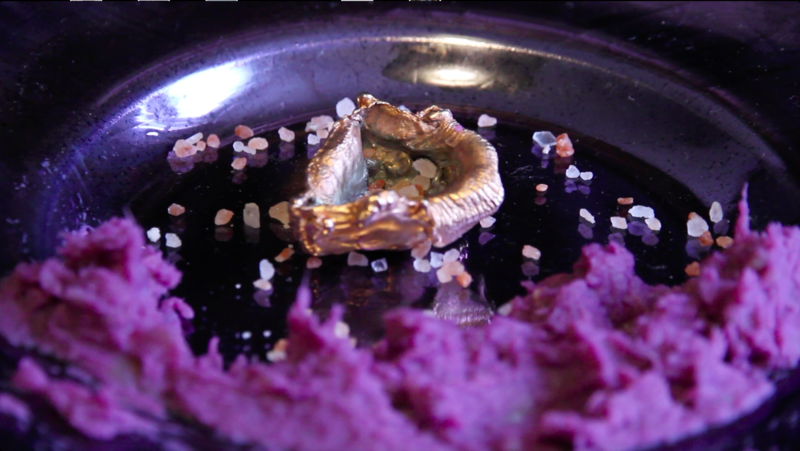 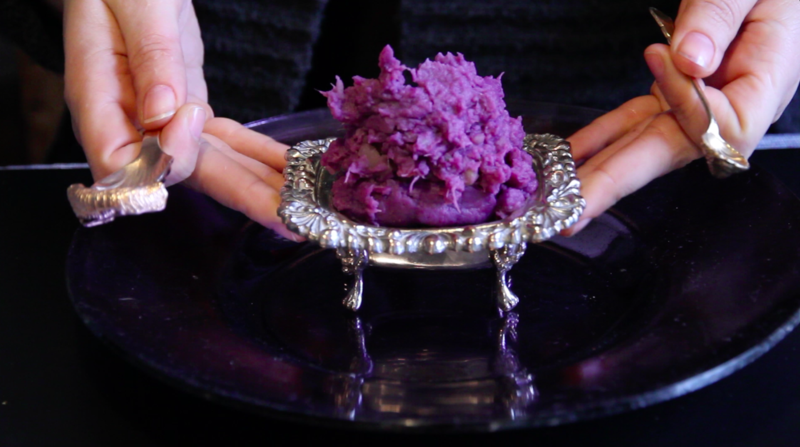 Second experiment consisted of preparing a purple potato mash, served in a miniature bath. 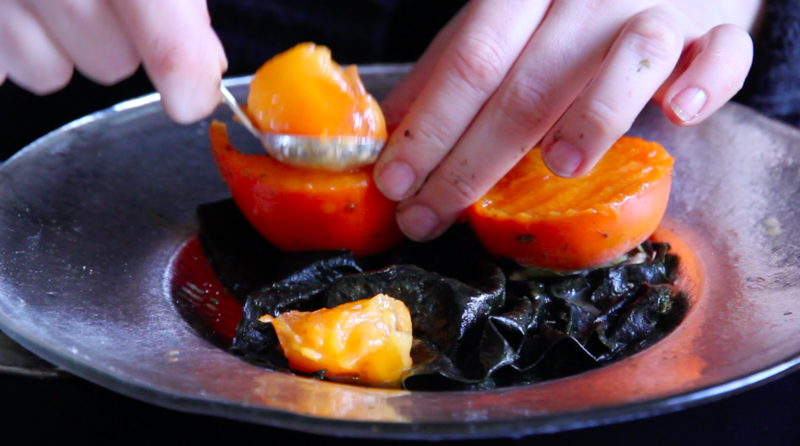 There was also an exploration of sea weed and persimmon fruit. 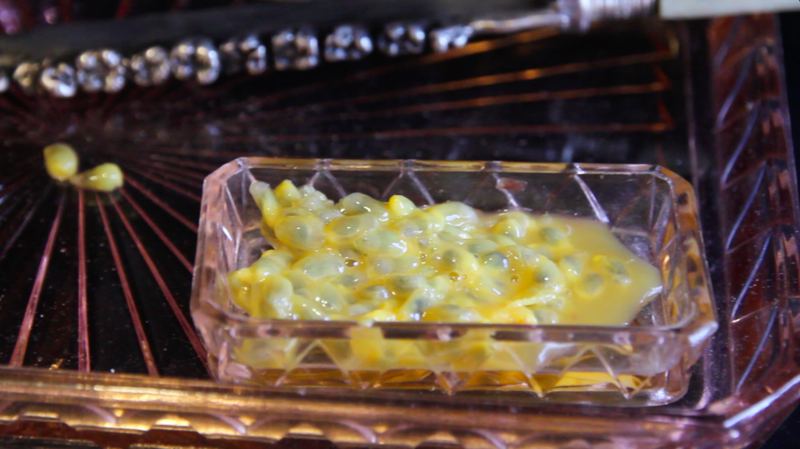 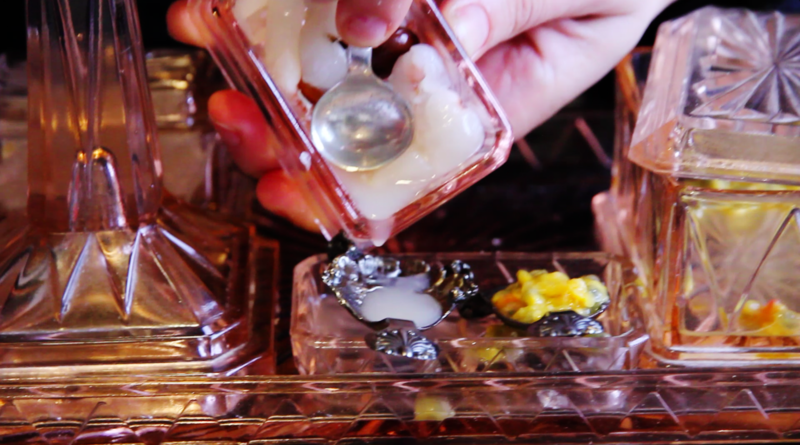 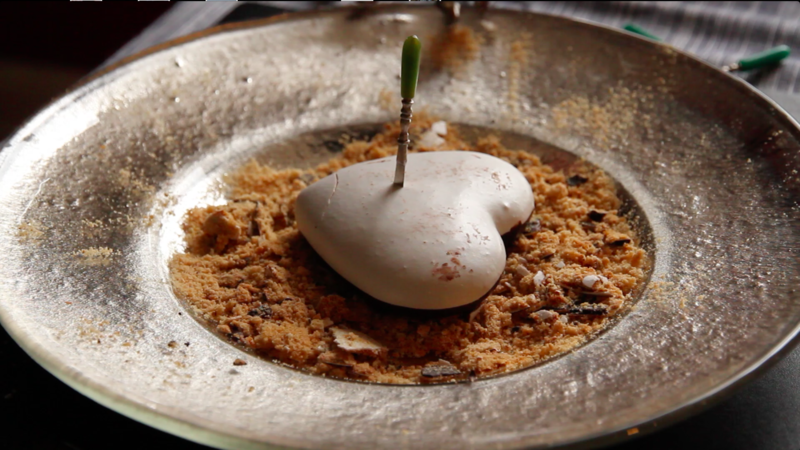 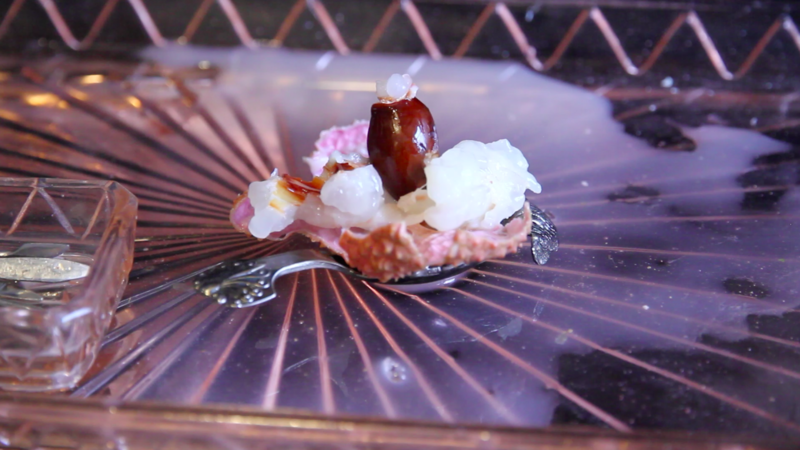 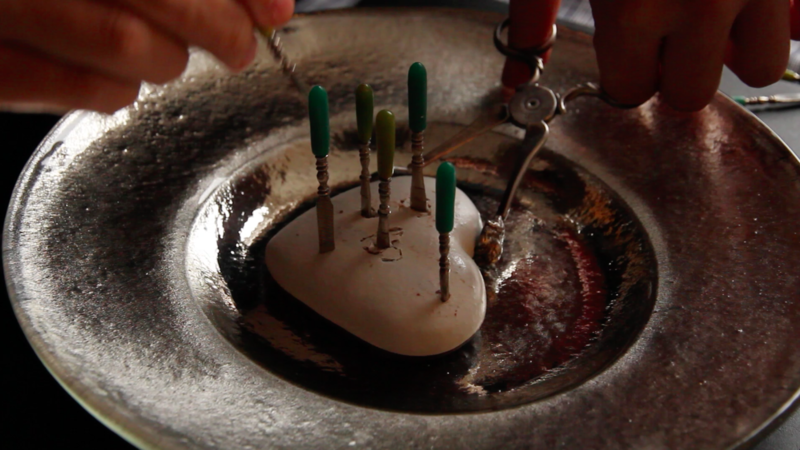 Finally, a lychee and passion fruit, served in a vanity set, were dissected using a variety of tools. 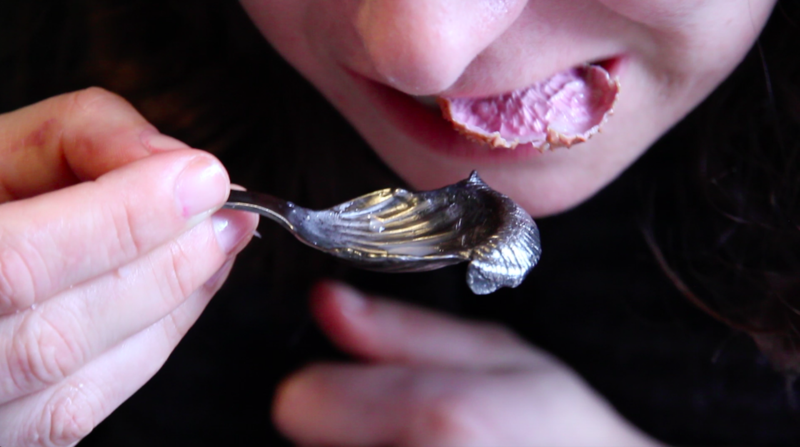 The extractions were served on Nuala’s lip spoons. 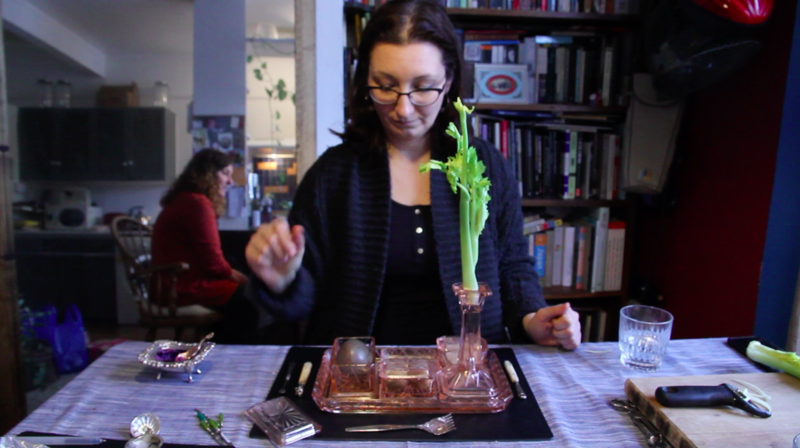 With thanks to Nuala Clooney and Tereza Kamenicka.